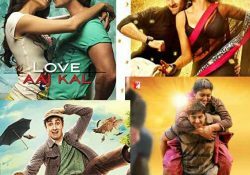 Unless you’re living under the rock, you might have heard about the online video streaming services like Amazon Prime Video, Netflix, Hotstar, Alt Balaji etc. 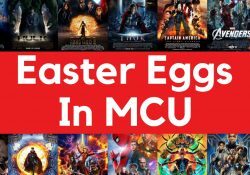 The subscription of such services lets you enjoy your favourite movies and TV shows on multiple devices like Android smartphones, iPhones, iPads, Tablets, Gaming Consoles and even on TVs. Welcome to FlickZee blogs, where we keep you updated with the latest happenings in the DIgital Media world and in today’s blog, we’ll talk about Amazon Prime Video and TVs. If you’ve been streaming Prime Video on smartphones and want to learn how to enjoy it on the Tv, then this blog is for you. Keep reading. Amazon’s Movies and TV show streaming platform – Amazon Prime Video is the primary rival to Netflix nowadays. Offering affordable monthly and yearly subscription plans in India, it is the go-to choice for most of the audience because of its diverse content options and bundled plans with Amazon Free One-Day delivery. Prime Video supports multiple devices and is available in Standard Definition (SD), High Definition (HD) and 4k Ultra HD. Support for HDR is also available. You can read more on Amazon Prime VIdeo and the subscription plans here. Why Would I Stream It On TV? Streaming Prime Video on smartphones and other similar devices with compact screens can be really efficient when you want some entertainment on the go like while commuting. 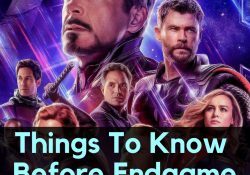 But you don’t want to watch the movies and TV shows on your phone while you’re with your family, or when you want to have some good times with your buddy on Amazon Prime Video. How would it feel with 6 heads peeking in your phone screens? Pretty weird, right? And that’s why you need to stream Amazon Prime Video on TV. On a large screen, you can enjoy some awesome movies and TV shows with everybody, or even when you’re alone. But streaming the Prime Video content on phones, tablets and desktops can be done easily with respect to streaming on TVs. 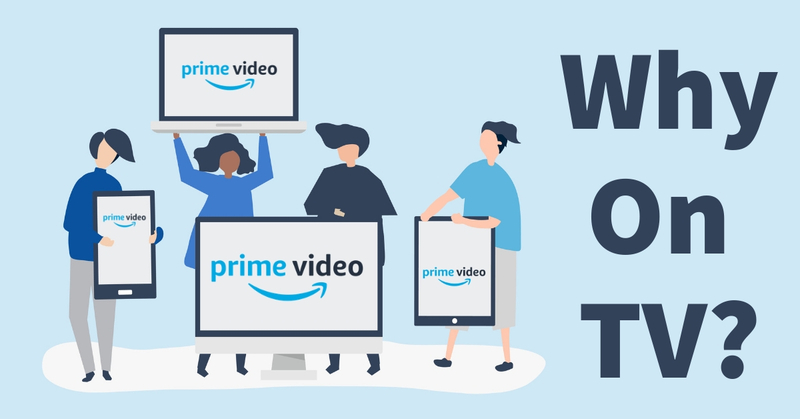 So We have rounded up some options that let you stream Amazon Prime Video content on your TV screens, that will certainly make your life easier. Enjoy. The device is compatible with an HD or Ultra HD TV with an HDMI port. 8GB internal storage is available. Bluetooth 4.1 + LE along with WiFi connectivity is supported. Free cloud storage for movies and TV shows purchased from Amazon. Resolution of 720p and 1080p at 60fps is supported. Make sure to have a high-speed Wifi internet connection to complete the setup process. High Definition TV with HDMI port and WiFi support is required. 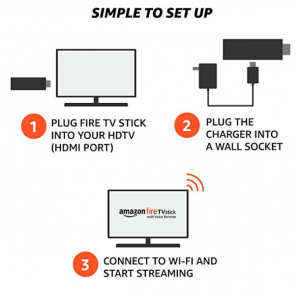 Connect the Fire Stick Device using the given USB Power Cord. One end goes into the device while the other goes into the power adapter. The Fire Stick then has to be plugged into the HDMI port on your TV. After turning on the TV, select the HDMI input channel for the port. The Fire Stick Logo should come on the loading screen now. The Fire TV voice remote should automatically pair up with the Fire Stick. If it doesn’t, use the ‘Discovery Mode’ to pair up by holding down the Home button for 10 seconds. Connect the Fire Stick to a Wifi Connection on the screen. Subsequently, register your device using your Amazon account. Your setup is completed. Now, you are free to access the Prime Video content on your TV. 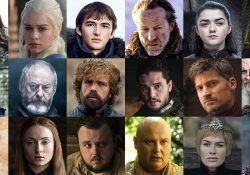 While streaming its content on phones, tablets and desktops can be done easily, the rivalry between Google and Amazon has meant restrictions & incompatibility when it comes to casting Amazon PrimeVideo on TV using Google Chromecast. Chromecast-ing does not come as easily to some Android devices. Although Amazon Prime does not support Chromecast, there are ways to cast its content using the Google device. 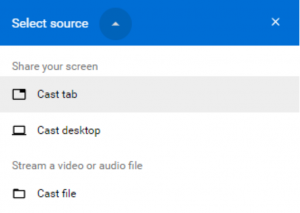 In order to stream content on your TV via a desktop, you require a Chromecast device as well as a computer connected to the same Wi-Fi network that has the Google Chrome browser installed. 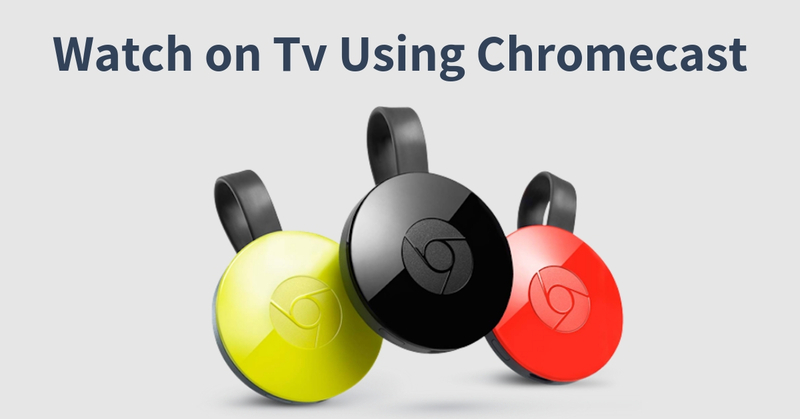 A Chromecast device which you can buy from here. This device should be connected to a network. Desktop/Laptop connected to the same as the Chromecast. Google Chrome browser with the latest version. Install or update to the latest version of Google Chrome on your computer from here. Connect your desktop or laptop to the WiFi network on which Chromecast is present. 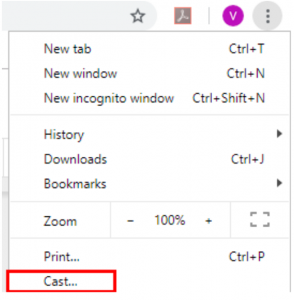 Click on ‘Cast tab’ if you just want to only cast the current tab. The option is helpful if you want to keep the laptop independent and stream content in one tab. This is the most preferred option by users when watching with someone else. Click on ‘Cast desktop’ if you want to cast the whole screen and replicate whatever you see on your desktop. This option is generally helpful for personal use. Now select the Chromecast device of the TV on which you want to cast the content and you are ready to cast Amazon Prime videos onto your TV screen. You can select ‘Remote Screen’ next to where it is written ‘Show fullscreen videos on’. This will prevent the video from playing on both your desktop and Chromecast at the same time. 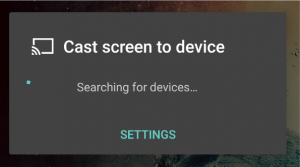 On most Android/Apple models, you might be able to cast the phone screen to the TV using Chromecast. Smartphone connected to the same as the Chromecast. Install Google Home on your Android or Apple phone and run its guided setup. 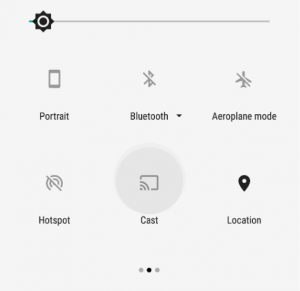 Android users can simply open the notification bar and click on the ‘Cast’ icon. Alternatively, open the Google Home App and click on Cast Screen/Audio. Choose the Chromecast device you want to cast on. This will replicate the whole screen instead of just a single app. Open the Amazon Prime Video app and select whichever video you want to stream. You might want to flip into landscape mode on your phone. This method is as easy as it gets. This doesn’t require spending any extra penny except for an HDMI cable. A TV with HDMI input. Laptop/Desktop with Prime Video subscription. Start Amazon Prime Video on your desktop/laptop. Insert one end of HDMI cable into the TV and other into the laptop/desktop. Switch to HDMI mode in your TV and play anything on your laptop/desktop. 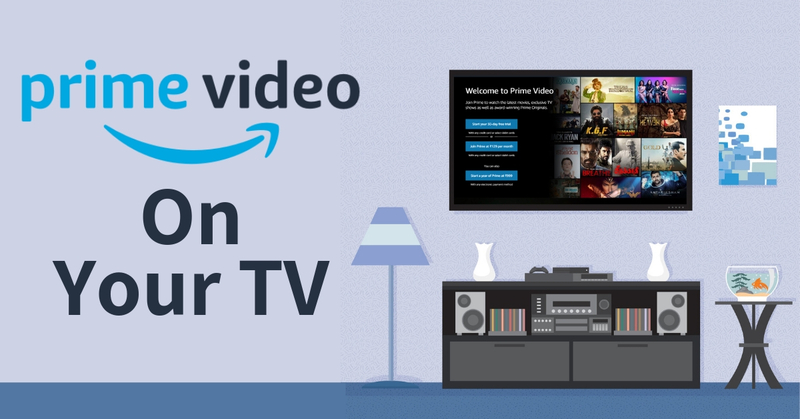 In order to watch Amazon Prime Videos directly on a Smart TV and media players like Apple, Fire TV – you can simply download the Amazon Prime Video app and stream its content onto your TV. This option is available for game consoles and Blu-ray players too. A smart TV or media player. Internet connectivity and Amazon Prime membership. Download and install the Amazon Prime Video app from your TV’s app store. Sign in with your Amazon Prime account and membership details on the app. Access and stream Prime videos on your Smart TV directly. Besides these, Amazon naturally offers supports on its own phones and tablet devices. Devices such as Fire phones, Fire HD and HDX tablets, Kindle Fire HDX 7 can use display mirroring via Miracast to cast the device screen on a TV. This can be done by going to the Settings option of the device and enabling screen mirroring in the ‘Display & Sounds’ section.